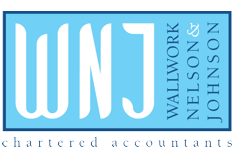 Cloud accounting services from WNJ allows you to access and update your financial information from laptop, tablet or phone – and at any time. It has simplified the accounting function for small businesses, allowing you to keep your records in real time and giving you a clear overview of your current financial position. New to Cloud Accounting Services? Or call 01772 430000 to talk to our Cloud Accounting Manager. For security reasons, Clients may be allocated different logins to access different WNJ online applications. Contact your Account Manager for more information about account access. Clients will need both their unique login and password to use the online applications available on these cloud accounting services. Ensure you keep your password safe and secure. You are responsible for its safe use. IRIS OpenSpace provides the ideal mechanism for increased collaboration between WNJ and its Clients who use cloud accounting services. Through IRIS OpenSpace, WNJ can securely share a set of accounts, a tax return or a financial statement with you. You can securely send bank statements, payslips, trial balances and any associated documents to or from your Account Manager.